This is a meetup for reading, discussing and practicing the teachings of Ramana Maharshi and other teachers of Self-Enquiry. Self-Enquiry is a simple practice of asking "Who Am I?" and experiencing one's true Self beyond the chatter of the mind. 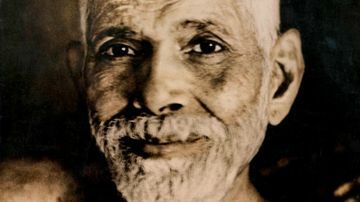 Teachers which we have and/or will cover in this Meetup: Ramana Maharshi, Papaji, Ganga Mira, Gangaji, Rupert Spira, Mooji, Amma, Anandamayi Ma, Robert Adams, Annamalai Swami, Mastan Swami, Maurice Frydman, David Thomas & potentially others. If you have a particular Realized Teacher who teaches Self Enquiry, feel free to message me about including a reading of their teaching in our Meetup. *Parking instructions: Please park on the other side of Jones Rd. from where the Little House of Love. There is an elementary school that is ok to park in at night and plenty of parallel parking available Pillow Rd. on the North side of Jones Rd. (near the school). ** Donations are welcome, but not required. They go toward paying for the cost of the meetup, The Little House of Love & its charities.